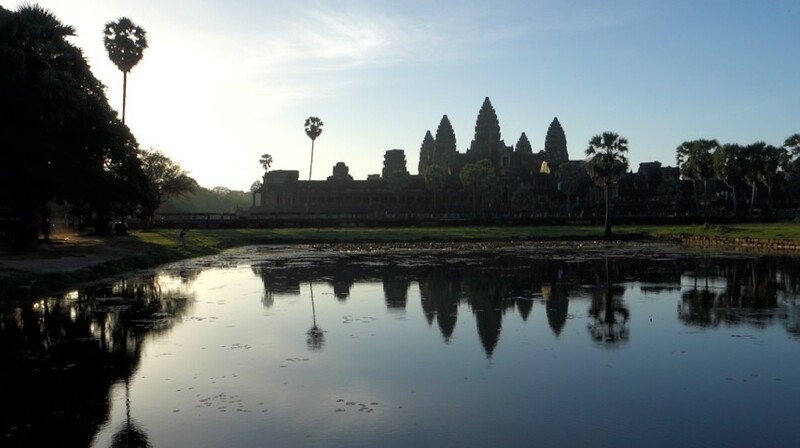 There are several options to get to Siem Reap (Cambodia) from Bangkok (Thailand). Airplane, bus, or minivan. If you have enough time I recommend to take a train! The funny part was when the train left one car at the train station. Yes, just like that. It started moving and after 50 meters they noticed that the last car was left behind! I was more than surprised that people stayed in the car even after this small incident. Anyway, the trip to the Cambodian border continued without any other troubles. The train is slow and you have enough time to enjoy the view. 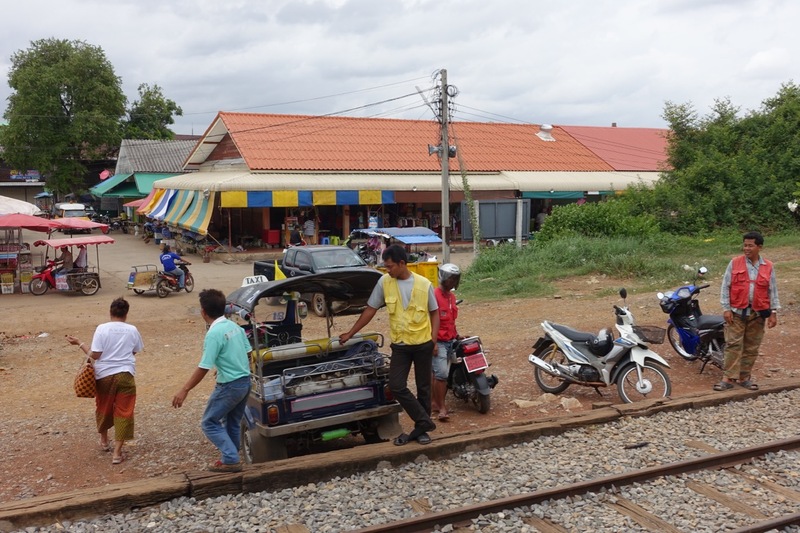 After getting to the Thai-Cambodia border we passed through the usual process. 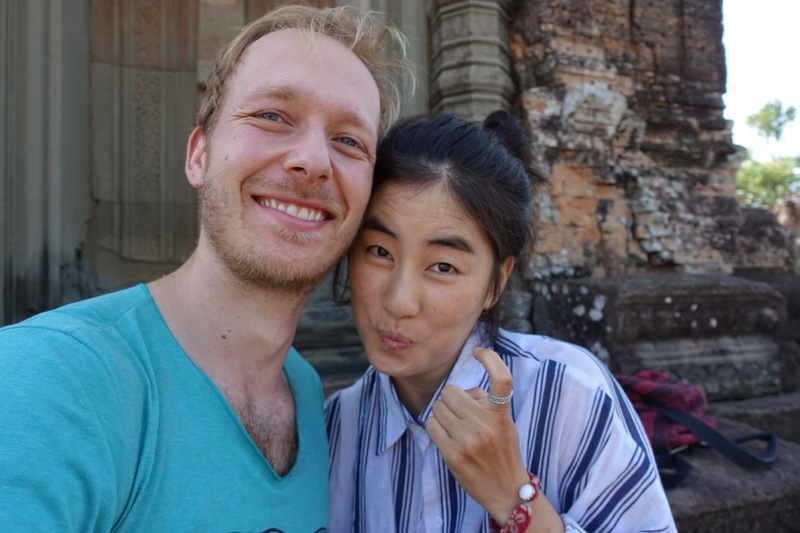 Well, it would be usual if the officers on the Cambodian side didn’t ask for extra money, because Su Ji didn’t have a correct picture (too small) for her visa. We gave them 100TBH (around 3 dollars) and immediately everything was solved, the wrong picture didn’t matter anymore. Tuk-tuk are so different in Asian countries! Here in Siem Reap they use a motorbike with a mounted trailer. I think it has another advantage – they still can use solely the motorbikes when needed. 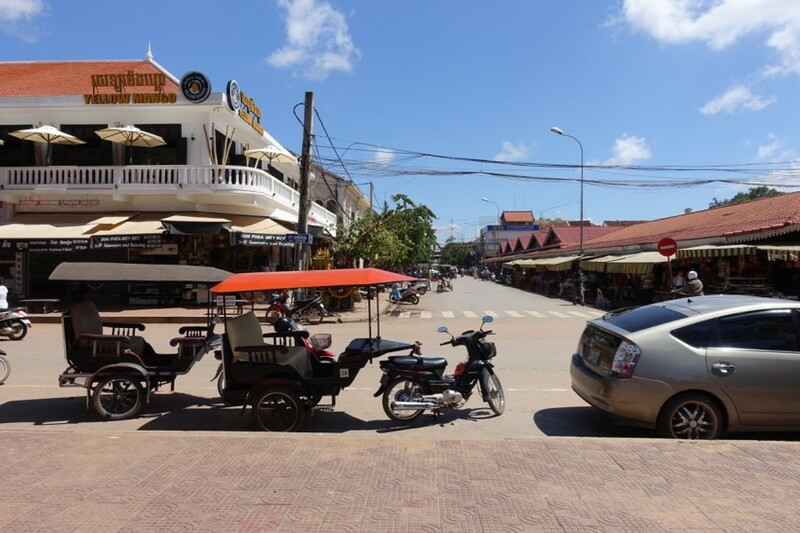 To be honest, I didn’t enjoy my time in Cambodia that much… Every time I walked on the streets I was stopped by dozens of people offering tuk-tuk or other services. I understand. They need to earn money. On the other hand, it might be already counterproductive. 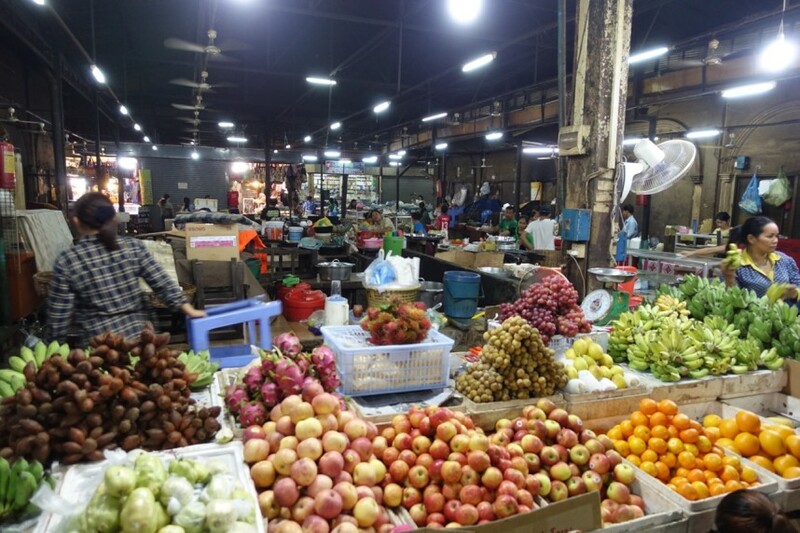 In Cambodia most of the things cost either 1, 2 or 3 (and so on) dollars. Nothing between. Finally, we rented bikes (for 1 dollar each) and got a three-day ticket (40 dollars each) to the site of Angkor Wat. Heaven on Earth! The heart and soul of Cambodia. I could barely imagine how many people were working here and was amazed what people are capable of achieving. When I was younger I thought that it would be only one really big temple, but that is absolutely incorrect. The site consists of 10 temples and I believe 1 day is not enough to enjoy them all. 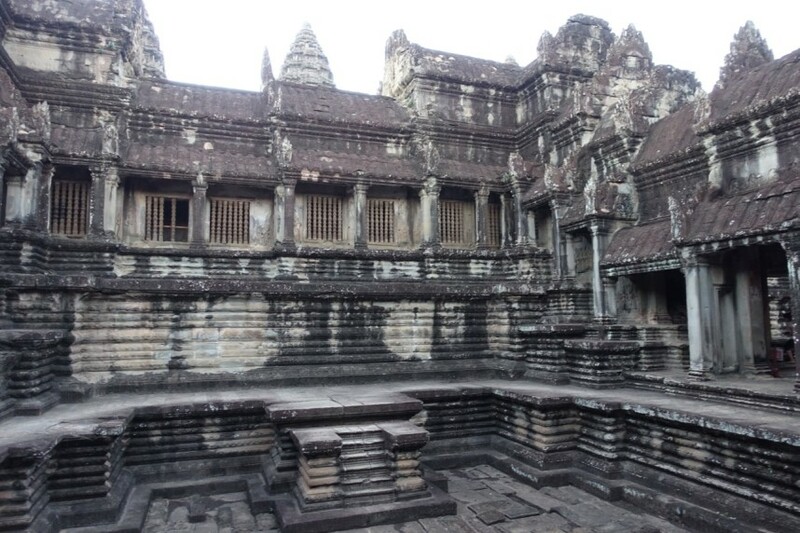 Each temple is different, and has its own structure and style. 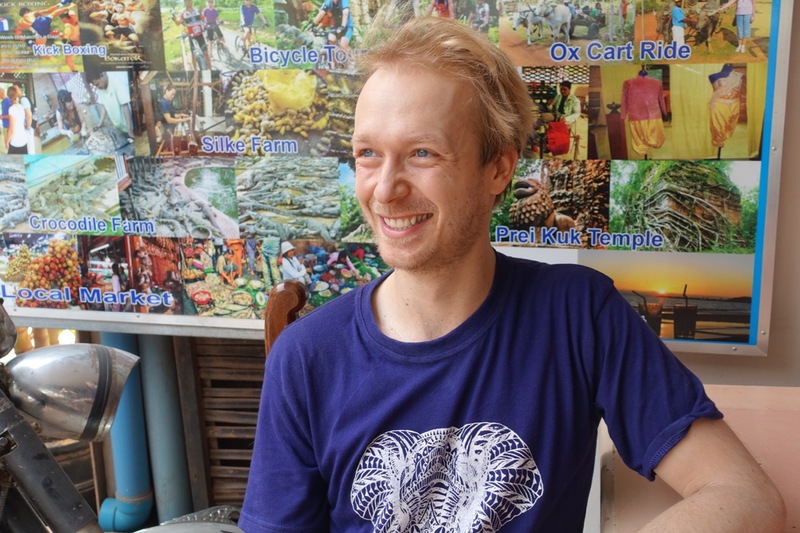 I had several not very positive experiences in Cambodia, all of them related to money. I already wrote about the bribe at the border. “No come back is ok” and insisted on getting her money for the coconuts. For me, this is the reason why Cambodia will stay a poor country for a long time. People don’t value their customers and focus only on money. By this attitude nobody will get rich and I will keep it in my mind when I will be running my own company. I’m really happy I could be here, have this experience and learned again about business relationships and how to treat customers. Next stop, Luang Prabang (Laos)!